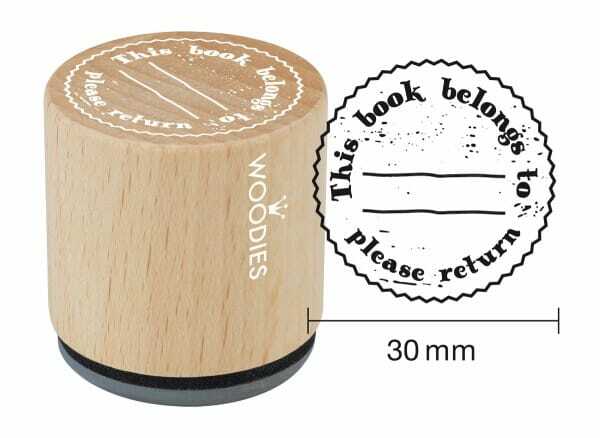 Ideal for those who want to keep track of books, the woodies stamp featuring 'this book belongs to' and 'please return' text is the stylishly and simple way to do so. The 30mm dainty stamp is made from beech wood and 100% natural rubber ensuring long lasting use. So whether you are a bookworm or casual reader, personalise the book with your own stamp. Customer evaluation for "Woodies stamp This book belongs to"